Stratasys material and filament list for an extensive amount of 3D printers is influencing the industry from a commercial and consumer standpoint despite not being in the consumer market. From functional to stylistic, Stratasys materials and filament completely hits the mark, except for one key thing in terms of what users are looking for. Understanding and taking a look into what material options are available to you is essential in creating products specifically made to be 3D printed. It is Tech Tuesday and we are going to the material side of tech today with Stratasys materials and filament selection. We will have a deep dive on it, and this is a pretty big company. I was looking at the different materials, and Stratasys materials and filament selection is really extensive as to the kinds that they have available for the different kinds of printers. There are lots of great materials in the open market. It also is important to talk about Stratasys 3D printing materials and how they are influencing or fitting into the industry. It is important to understand what is being developed by a company that has been in the business for 25 years. 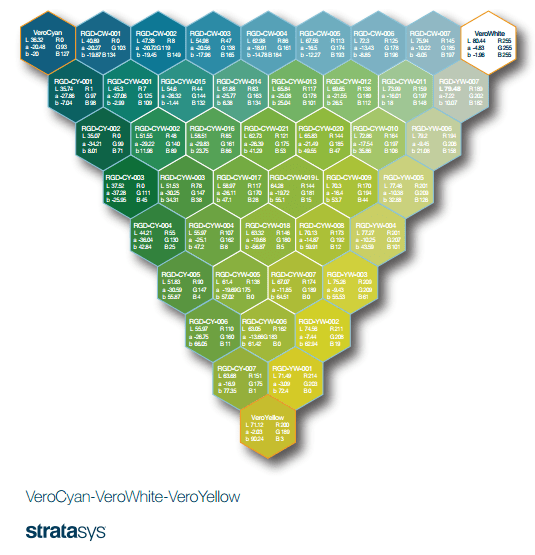 Stratasys materials and filament color selection for ABS could use some expanding. This goes deeper than a single filament machine. It goes into multi material 3D printing as well as just being actually Stratasys material and filament for 3D printers. They have a broad range of both functioning material and stylistic material. When I say stylistic, I am talking about a textural quality or a finish quality. The color palette is a big part of that. That is where I have the biggest complaint about Stratasys printer materials and filament. The color palette is really weak. The desktop industry has been nudging them a bit in that. Let’s start in the FDM world of the Stratasys materials and filament selection. They make commercial grade FDM materials. ABS is the most popular material. That is what they really do use. They don’t even offer any PLA materials. They have several different ABS materials that they call ABS Plus, ABS I, ABS M30, and it goes on and on. They also have polycarbonate and polycarbonate ABS blend materials. They have nylon materials and several other blends of materials. Some of these are for very specific machines, the Objet 500 or the J750 are some of them. They are organized by which Stratasys 3D printer you plan to use. They have a brief description on what its special properties are. You have static dissipative ABS. They talk about the details to it so you know you are getting a quality from what you are looking from a functional standpoint. They also have a UV resistant material. These companies have been catering to the commercial market for their entire existence. Stratasys materials and filament selection is really developed to meet specific engineering needs that industrial America and international companies have had. That is why they haven’t concentrated as much on the aesthetic quality on the colors as much as they have the actual qualities that have high impact engineering ABS. They have a sterilizable material that is polypropylene blends. That is what Stratasys 3D printing is known for being prototyped. This is really an interesting thing for a lot of even smaller companies to start looking at modelling. We are not here for a commercial on Stratasys, but their site is organized in a really good way that helps you understand why you want a certain material and why you need a certain printer for that material. Or when you have a certain printer already, and now you have a material project issue. What do you choose? Having that makes the understanding of things. If you are on that level of 3D printing, you go into the Stratasys 3D printer route of going printer first then material, and showing what you can or are capable of is a really important way to go about helping us as designers help ourselves. Or as companies who are developing future products; there are some things that need to be modeled here. It depends on the market. 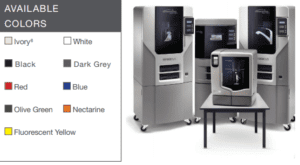 There are things that have been modeled after Stratasys materials & filament selection. Stratasys has these Polyjet 3D printers. These materials have the capability of printing multiple materials, not just in terms of colors, but in terms of actual qualities of materials. They have called them digital materials where you have hundreds of composite materials that are created as they are printed on the fly. They are mixing multi material 3D printing in some of these machines as they are printing. This helps to really open up our eyes to the real possibilities in the world of Stratasys materials and filament or 3D printing materials in general that are available to do complex prints right on a printer. The burden of Stratasys and other companies is that they have been a prototype process in something that is going to be made in a more traditional mold. If you are going to be injection molded, you need to have a lot of ABS and lots of these things, or you need to be post finished on your sample shop level to compensate for the fact that you don’t have them in your 3D printing. Being able to dial in and mix these properties is probably the most highly valuable thing. You could do just a wide range of tricks. You can print in hundreds of materials if you needed to in one print. One of the Objet materials options is to do the flexible materials. You don’t have to do them in two different prints. I know we talked about it yesterday with the intellectual property and 3D printing, but these companies that have been in the industry for more than 25 years started with the UV process and went so far beyond it in reality. As those patents expired, it gave birth to full desktop industry. They have moved well beyond it in a lot of ways. They are still doing FDM machines and have really developed the technology to a significant way to do a lot more. One of the Object material options that I like the most is the rubber like one. It has hundreds of colors in that. That is one of the most exciting and useful ones to be able to do. They have different levels of polyjet machines; the Object 30 or the Object 500. The Object 500 advertises on their site shows wide property materials. That is all legit. They are doing that now in Stratsys materials and filament. One color palette sample of the Stratasys materials and filament selection for the PolyJet colors. These types of 3D printers start a low to mid six firgures at least or maybe even higher for different features. If you are Nike producing a shoe model, you can 3D print a shoe that would have a similar look and feel in properties to what it would be traditionally manufactured. There are other shoe companies that are 3D printing end use parts using this type of machine. If there is one criticism I have about the way they setup the site, is that while I think it is really user friendly to look at the material options, in the case of a small independent designer where might you want to go to a service bureau to produce something for you, they have made it with a level of difficulty by forcing you to request information. There is some information out there on Stratsys materials and filaments, but you have to do some digging on it. They have a lot of white papers on it. 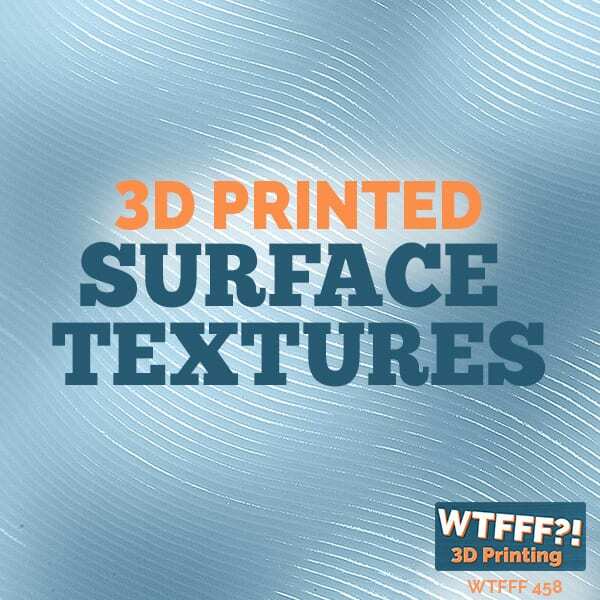 There are also some videos that exist about the digital material printing (see above). There is information out there. It is just it is not meant to be for us to look at that are of value at our level in the FFF world. It is not providing a value for the service bureaus that bought your machines. It put the service bureau to print it on that level as well. They have more money to do that mixing. It would make more sense if they also have a little search and find kind of thing that pointed you to what machine you need to be looking for. 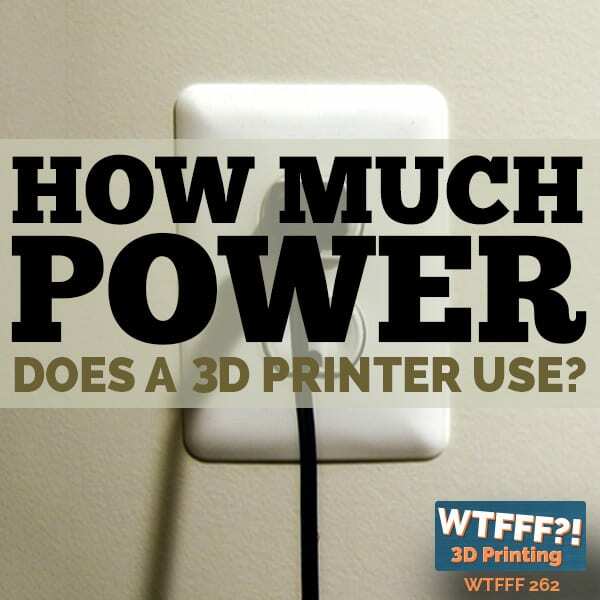 I think this really goes to how complex the overall 3D printing industry is. They have been going more on the commercial market. It is not the desktop industry. 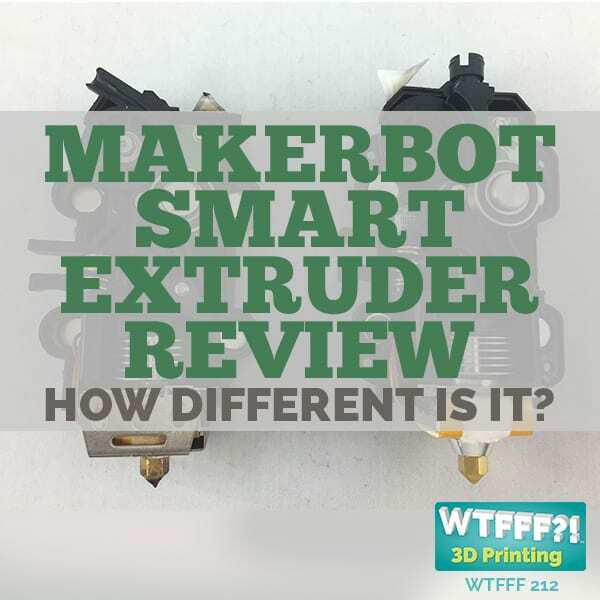 I thought that we should really at least have a discussion about it and understand what is available and what some of the differences are between the entry level market that is coming into all of the schools and educational institutions and maker spaces. In the future, they need to be more independent designer friendly. You need a push and pull situation happening. These big companies like Stratus have not yet done that. It puts the burden solely on these smaller service bureaus. That is not really great. There are a lot of people that would like to use this technology and print things in these materials for their needs whether they are business or personal. But if they do not know what is available to them and how to take advantage of those, then service bureaus are not going to invest on those machines as much at least for those types of customers. 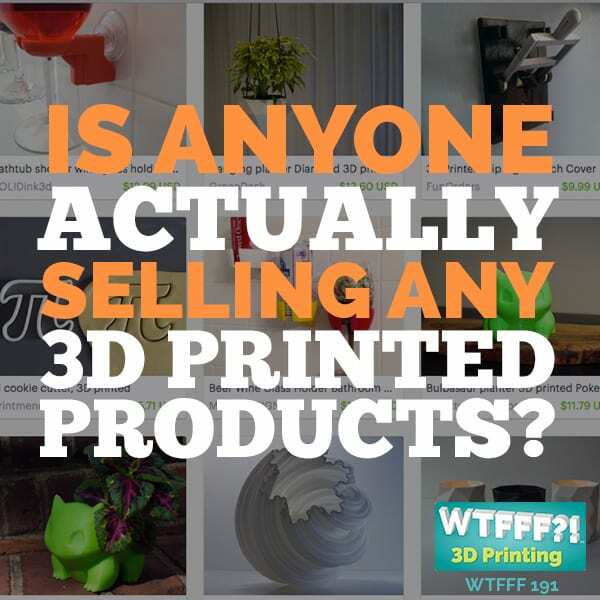 My biggest complaint in the FFF world is that there is no place for us to make sure that we have – except for 3D Hubs, but you have the complication of how good is that hub person, the person’s skill set is a question you have to deal with. They are independent. It is a variable you are not removing. You want to test your “what” against the printer quality. There is not a good place for you to sort and find that to be able to do that. It is the same problem here with the materials. 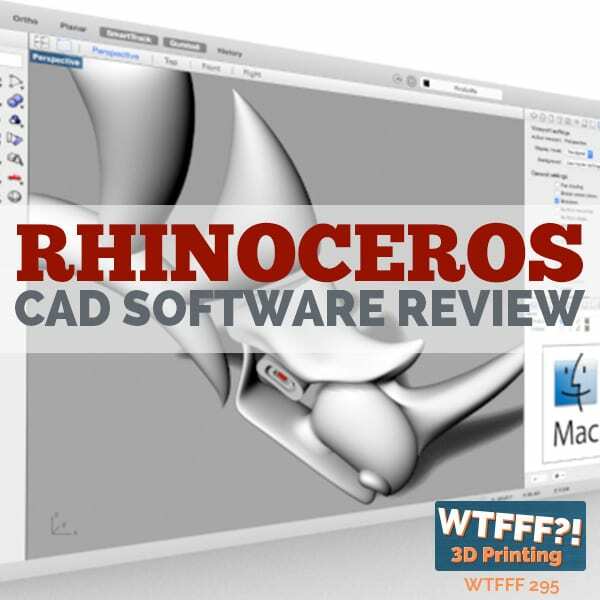 We are trying to try and review as many 3D printers as we can. We have more reviews coming up here in the coming couple of months. We still have a couple of minis and some others we are reviewing. It takes these companies a lot of time to get it together. We are not testing everyone in our audiences “what.” We are trying to get a good example on the 3DKitbash test samples help with that because they give you a broader look if your 3D printers are vulnerable. We still don’t have that “what” dialed in. We hear it all the time from people who are ready to dive in and they are held back by the idea that they are still so afraid when they get the printer home and it is not going to print what they have expected. Where is that service? These big companies are missing the mark on the material side as well by not pointing you on the right direction of where you can try before you buy.